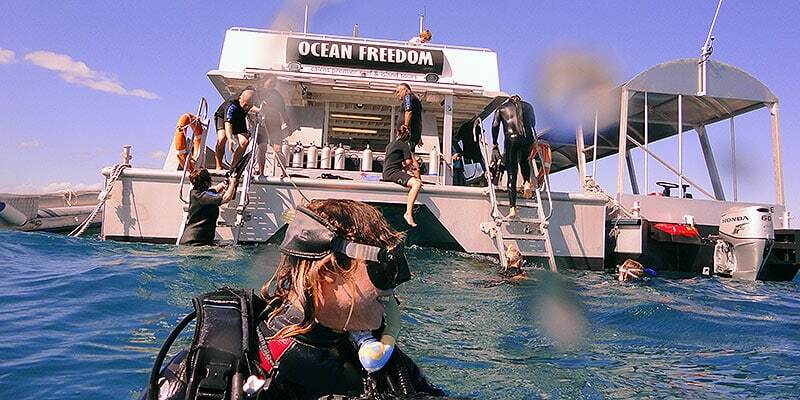 Ocean Freedom is dedicated to giving you a great dive experience. Our crew are passionate and knowledgeable about the reef and love showing you our reef sites. All our certified dive groups are small, usually no more than 4 in a group and all are offered a complimentary guide to ensure that you get the most of your dive on the Great Barrier Reef! Whether you are a newly certified diving novice, someone who has not dived for years or a seasoned diver with hundreds of dives to your credit, we will show you the very best of the Great Barrier Reef. You have the chance to enjoy two dives, at two very different reef sites. The Wonder Wall site on Upolu Reef offers dives up to 15m, depending on the tide. This is a spectacular dive. Drop down to 10-12m and follow the Wall to see beautiful hard and soft corals including brain, boulder and branching coral. 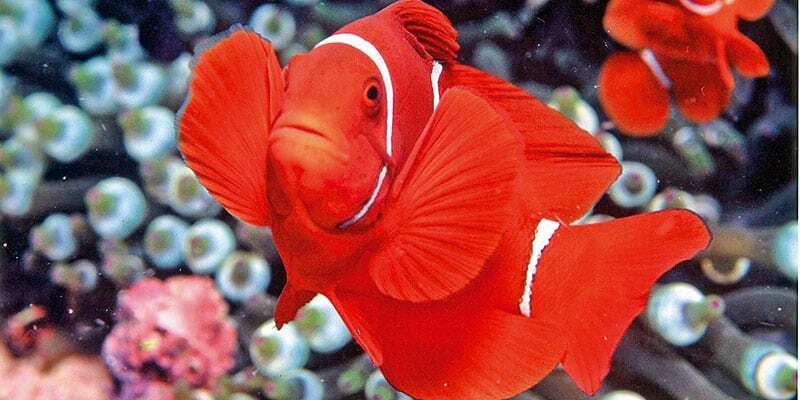 Check out the large Gorgonian sea fans and watch for a multitude of anemone fish, all related to Nemo of course. Upolu Cay diving offers pretty coral gardens, home to parrotfish, stingray, green turtles and an array of smaller reef fish. The turtles are used to divers so you can get quite close, but please don’t touch them, rather dive slowly by and share their reef wonderland. Fantastic diving on the outer Great Barrier Reef. Detailed dive brief on location and procedures. Certified Dive Guide (Dive Master or Instructor) and state of the art diving equipment (Aqualung / Scubapro). If you have friends travelling with you who have never dived before, they may want to try introductory diving while on board.